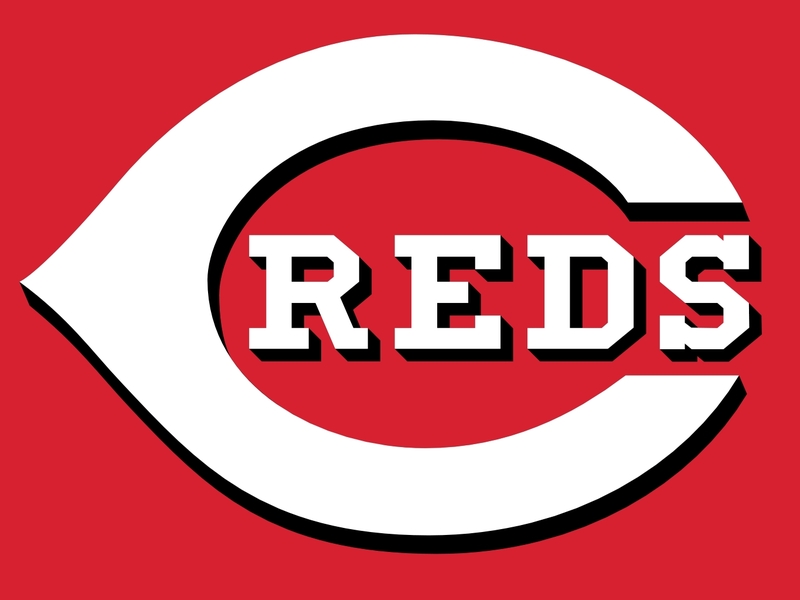 Ricky Nolasco threw a complete game 4 hit shutout, striking out 7 Reds for a 3-0 Angels final. Rougned Odor drove in 5 with his 3 hits, including a pair of homers, as the Rangers ambushed King Felix and the Mariners, 14-1. Matt Garza threw 7 innings, striking out 8 Cardinals and allowing 1 run as the Brewers took the 3-1 game. Andrew Toles hit a 2 out grand slam in the 9th to complete the Dodgers stunning 10-8 comeback over Colorado. They All Owned Baseball on August 31, 2016. Justin Smoak went 3 for 5 with a homer and 5 RBI to help propel the Blue Jays into first place by themselves with a 15-8 thrashing of Minnesota. Kris Bryant scored all 3 times he reached base including a key 8th inning homer and a go ahead homer in the 10th as the Cubs came from behind to top the Dodgers, 6-4. Justin Verlander pitched into the 8th, striking out 8 Angels in 7 2/3 innings and walking just 1, earning the 4-2 victory for Detroit. Braden Shipley threw 7 strong innings, allowing 4 hits and 1 run, setting p Arizona’s 4-3 extra inning win over Cincinnati. They All Owned Baseball on August 26, 2016. Dernard Span went 3 for 4, driving in a pair including a 10th inning go ahead homer to give the Giants a 3-2 victory in Philadelphia. Brandon Finnegan kept the Cardinals shut out over 6 innings of 1 hit ball and warned the 7-0 decision for the Reds. Francisco Lindor homered, singled, drove in a pair and showed some dazzling defense in Cleveland’s 9-2 drubbing of the Twins. Drew Smyly struck out 10 Royals in 7 innings, giving up just 2 runs. He did not fare in the decision but the Rays came back to win, 3-2. They All Owned Baseball on August 4, 2016. 5 team stacking options ( We are going to draw most of our players from these 5 squads). 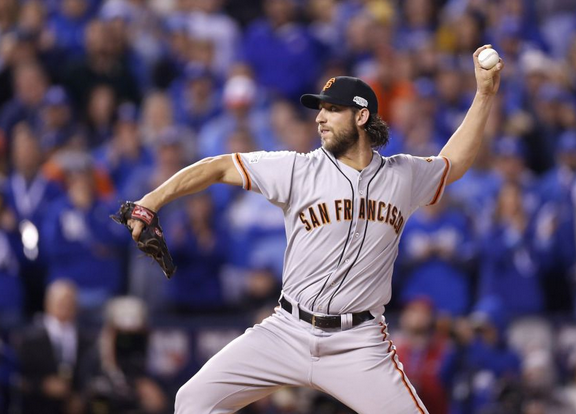 P- Madison Bumgarner (vs. Milwaukee Brewers): $13,800. 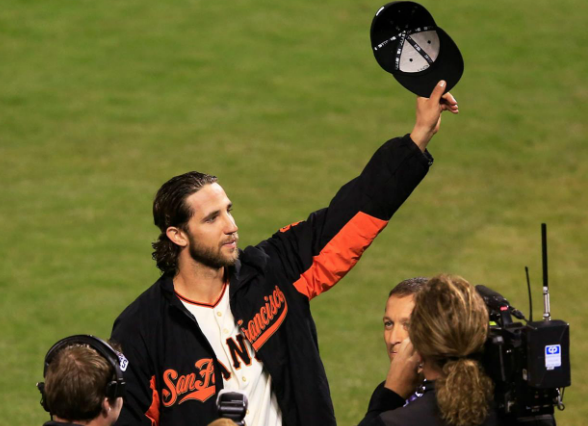 Bumgarner is the top pitcher on the slate for Tuesday and for good reason. First of all, he is facing the 21st ranked offense of the Brewers. Second, he is 7-2 this season, with a 1.88 ERA, and 99 strikeouts in 86 innings pitched. Third, he is pitching in his home park. Fourth, he will probably hit a home run to bolster his lead at some point in the game. This guy can do it all. 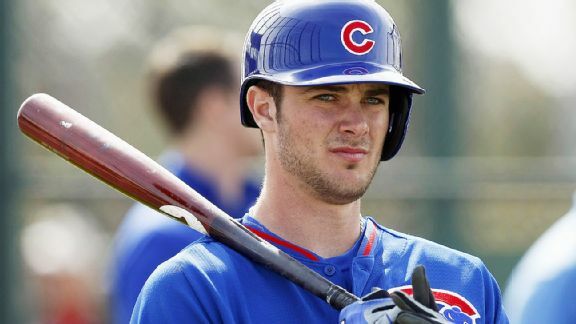 P- Brandon Finnegan (vs. Atlanta Braves): $8,100. Finnegan has been on a roll as of late. In hist past four starts, he has thrown at least 6.1 innings in each start. He now has seven quality starts in his 13 total outings this season. He will be facing one of the worst offenses in baseball on Tuesday, so this shouldn’t pose a threat to Finnegan’s hot streak. Below you can find the two start pitchers for week five (5/2-5/8) and their match-ups. 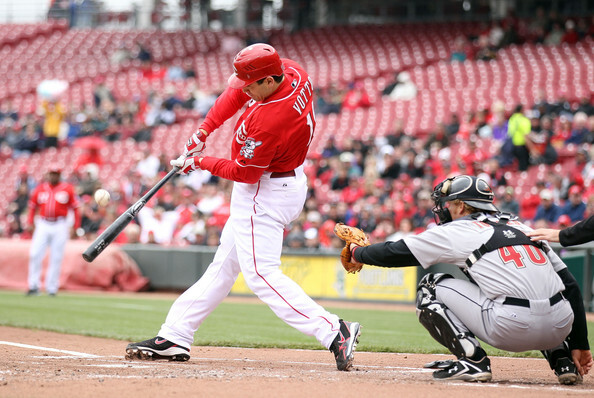 If you have any questions or comments about this article or fantasy baseball, please Tweet me. If you enjoyed this post, please follow my blog for more updates! Chris Davis drove in five between his two hits, including a three run homer with 2 outs in the 9th to lead the Orioles to a 9-7 win in Boston. Jeremy Hazelbaker went 4 for 4 with a double and a triple, scoring a run and driving in another to help the Cardinals top the Brewers, 10-1. Collin McHugh threw 7 shutout innings, allowing 8 hits and 1 walk to lead the Astros past the Royals, 8-2. Michael Wacha struck out seven Brewers in six shutout innings to lead the Cardinals to a 10-1 final. They all owned baseball on April 11, 2016. Kansas City finally lived up to their expectations, and far exceeded beyond that, being just one swing away from calling themselves World Championships. With the success the team had, it also creates pay raises, roster turnover, and tough decisions from the brass on who to replace the outgoing cast. Dayton Moore must be aggressive with some of the changes, and realize this core group of players have about a 2 – 3 year window to win before everyone becomes too expensive. The time to strike is still now! 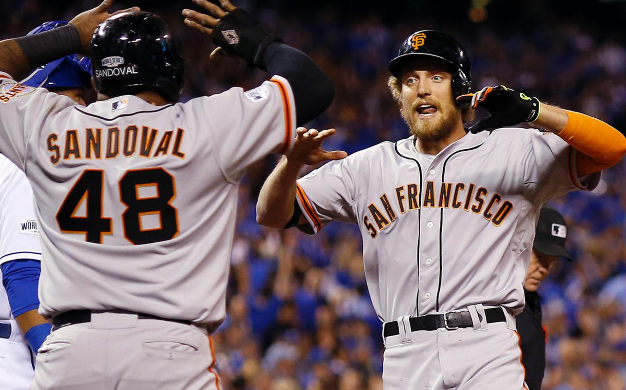 First congrats to the San Fransisco Giants organization for winning a 3rd championship in 5 years! Now for the losers who captured Americas heart, and why the Royals can’t sit back and do nothing all offseason. Frequently after a team wins a championship (for almost any sport) and has that breakthrough season that team tends to try and retain its team from last year while making no additions. Save for LeBrons Miami heat we haven’t had a team repeat in any sport since the 2004 Patriots and not in baseball since the 2000 Yankees. Lets not forget that while the Royals did eventually get to game 7 of the World Series they barely got the wild card clinching the spot a couple games above the Mariners and winning that game late. Here are recent examples of Championship teams who really made very few additions and flopped or performed less than expected the next year. The 2013 Red Sox who basically retained the same team and suffered from injuries and substandard performance from players like Clay Buchholz and David Ortiz. 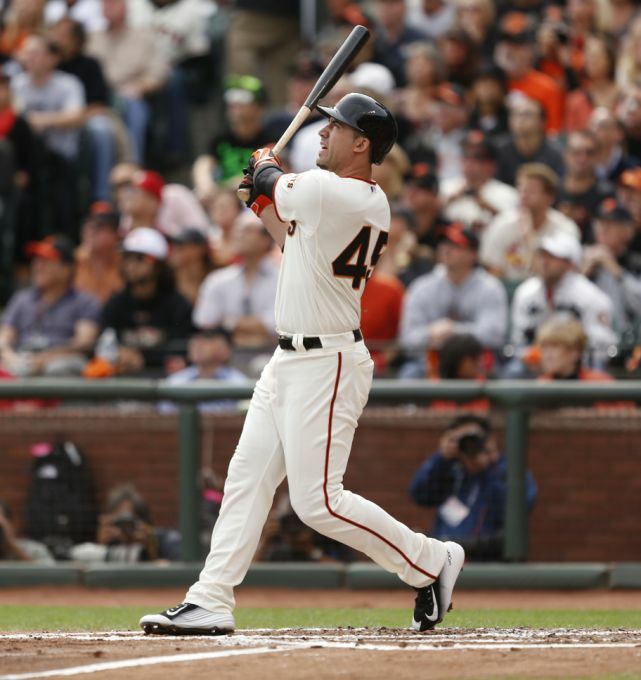 The biggest example might be the 2010 and 2012 San Francisco Giants who just retained their teams while making no additions and ended up making frantic moves such as trading for Carlos Beltran at the deadline to fill the holes. One threw a shutout in the Wild Card Game and captured NLCS and World Series MVP honors. 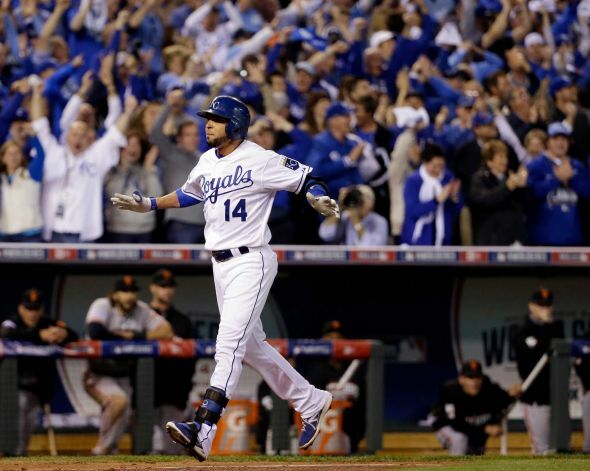 The other got a pair of hits and drove in a pair in the Wild Card Game, batted .533 with an OPS of 1.255 to win ALCS MVP and took his potent bat and highlight catches into the World Series. 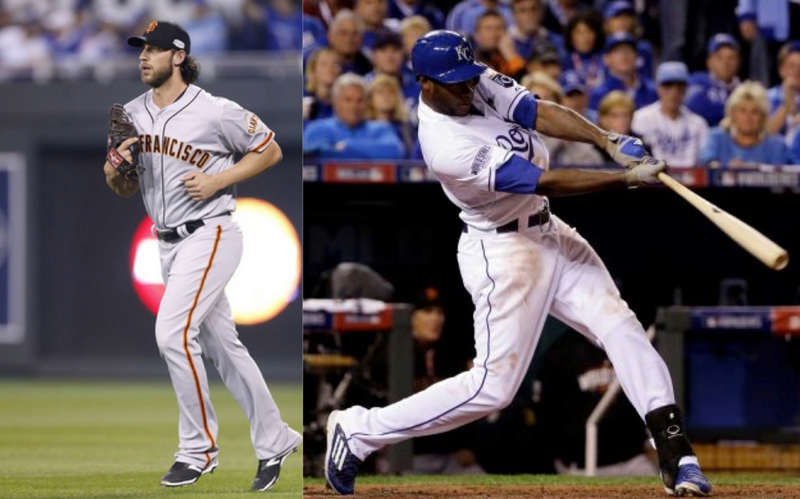 Madison Bumgarner of the San Francisco Giants and Lorenzo Cain of the Kansas City Royals owned October in 2014. And I also have the option to give a 1/2 WOO to a player on a losing team. I awarded Who Owns the World Series to Bumgarner and his teammate Hunter Pence. But WOO tallies every post season game, from the Wild Card Game all the way to the final pitch of Game 7 of the World Series. So not only are the Giants and Royals represented, but so are the Orioles, Cardinals, Tigers, Athletics, Angels, Pirates, Dodgers and Nationals. Hunter Pence, Pablo Sandoval, Brandon Crawford, Nelson Cruz, Alcides Escobar, Eric Hosmer, Travis Ishikawa, Buster Posey and Kolten Wong all got 2 or higher WOO as hitters to trail Cain’s total of 4. Interestingly Bryce Harper also got 2 WOO even though his Nationals lost the Division Series and did not have the ability to pad his total in the LCS and World Series. Bumgarner’s 6 1/2 WOO total was more than double the next name, his teammate Yusmeiro Petit who pitched to a 3 WOO all in relief. Kelvin Herrera and Greg Holland got 2 WOO in relief. 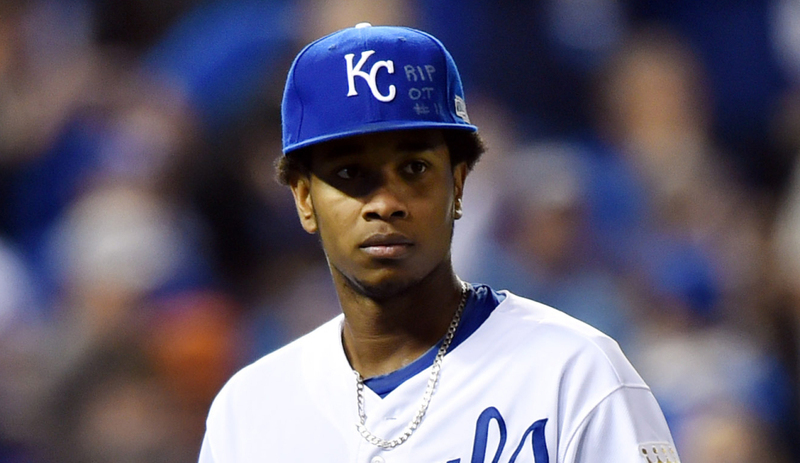 Jason Vargas and Yordano Ventura got 2 WOOs as starters. So they Bumgarner and Cain had amazing post seasons and that will remembered by their fans forever. They did more than show up for October. They owned it. 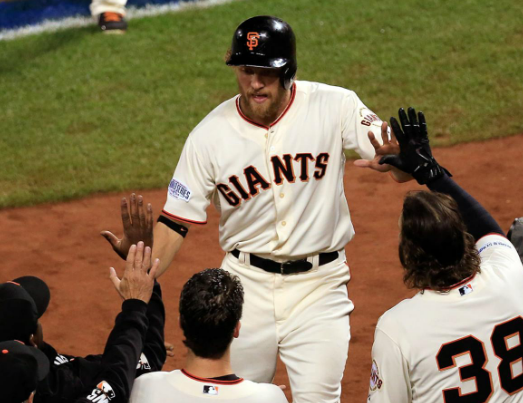 Madison Bumgarner finished his historic post season with 5 shutout innings out of the bullpen, holding Kansas City to 2 hits and clinched the World Series for the Giants with a 3-2 win. 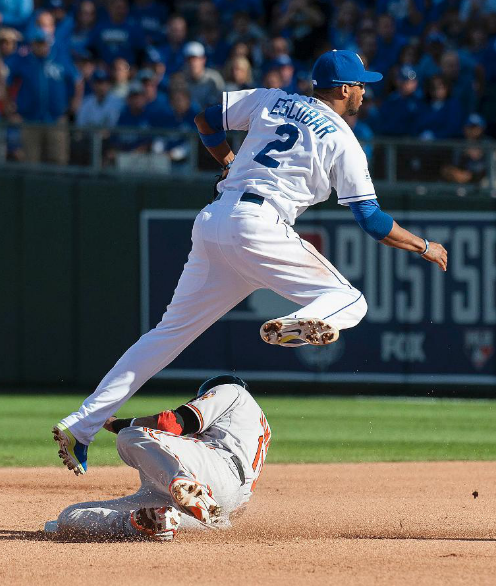 Pablo Sandoval capped off a marvelous World Series with a 3-3 performance, reaching base 4 times, scoring twice played solid defense and caught the final out as the Giants took Game 7, 3-2 in Kansas City. Alex Gordon went 2-4, scored a run, drove in a run and hit the dramatic 2 out hit that took him all the way to third in the bottom of the 9th. 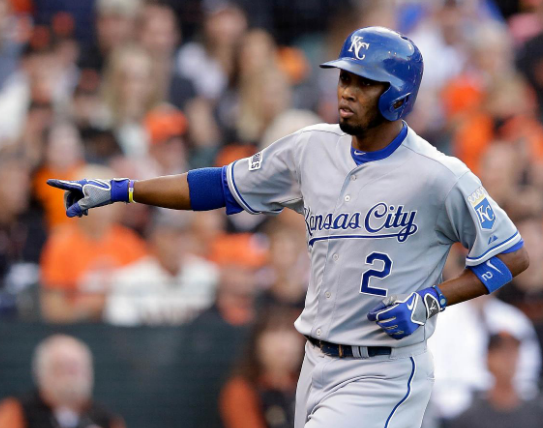 He was stranded as the Royals fell 3-2 to the Giants. Kelvin Herrera pitched the Royals out of trouble with 2 2/3 shutout innings of relief, striking out 4 and walking none. San Francisco would hold on to win, 3-2. 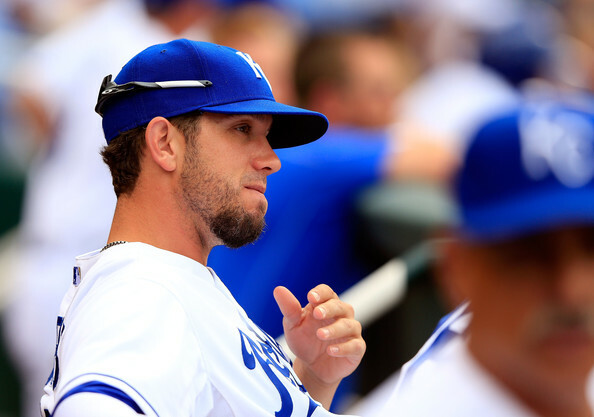 While James Shields has not had a banner postseason – however it is important to remember his influence on culture change in the Royals clubhouse for this successful franchise turnaround. The trade that brought the RHP, also brought in Wade Davis, who may be the most important pitcher on the squad other than Greg Holland this campaign. Dayton Moore has done a fantastic job of assembling this franchise’s roster over the last 5 – 7 years. It came on the heels of a quarter century of futility yes, but the future definitely looks bright. As we have said before, teams residing in either league’s Central Division have a fair chance of competing in a season every year. The highest payroll team is the Detroit Tigers, but they are not in the stratosphere of the Dodgers, Yankees, Rangers, Angels and Phillies, were there is a 2nd team in the division who can go buck wild in contracts. The Nationals and Giants are able to spend in the $150 MIL range to join Philly and the Dodgers. In the AL West, Texas and the Angels can mirror each other, whereas the Red Sox and Yankees own the AL East payroll leaders. St. Louis is the highest NL Central club, and are always near the fringe of the top 10 for dollars spent annually only. The Tigers are the only franchise spending big cash in the AL Central, although the White Sox have delved into higher salaries in previous seasons – when they drew well following the 2005 World Series. They have since scaled back. The Royals should be able to field a nice team for the next 2 – 3 years, and it shouldn’t break the bank for the ownership. 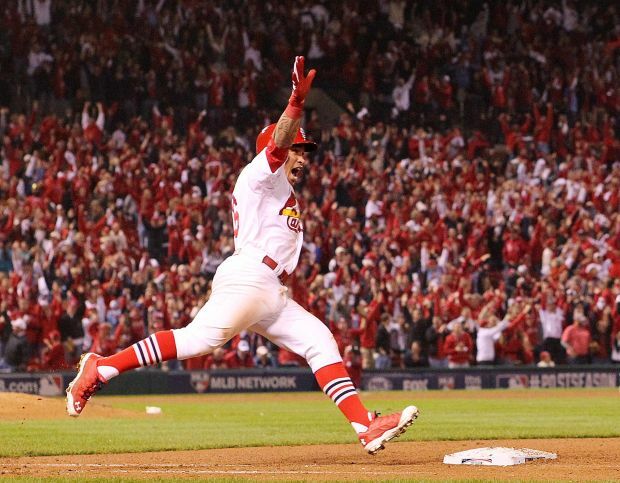 Kolten Wong launched a 9th inning walk off homer that sent Busch Stadium into a frenzy as the Cardinals topped the Giants 5-4. Seth Maness was brought into a bases loaded situation in the 9th inning with the game tied and got out of the jam. He would earn the decision as the Cardinals walked off 5-4 winners. Gregor Blanco got a pair of hits including a go ahead single in the 7th. 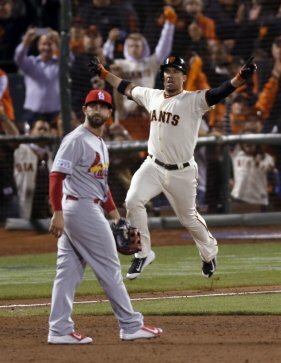 The Giants would lose to the Cardinals, 5-4.